Every year you slave over your property, trying to create a beautiful, green lawn, and every year you find that no matter how hard you work the lawn still seems to struggle at times or look less green than the lawns of some of your neighbors. The problem may not be the watering or the mowing. 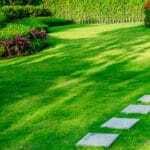 The problem may be that your lawn hasn’t received the most effective treatments for proper growth. 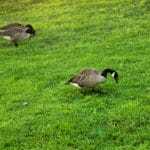 That’s why you should call Green Lawn Fertilizing – one of New Jersey’s leading providers of local lawn care services. 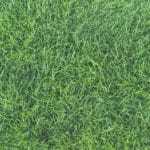 Green Lawn Fertilizing provides both residential and commercial properties across Central and Southern New Jersey with fertilizing and supplemental services that are perfect for creating the lush, green lawn that they’ve always sought after. Every single application provides the perfect amount of fertilizer at the right time of year to feed the lawn and make sure that it’s growing as healthy as possible, and with our weed control services, only your lawn will receive those valuable nutrients. We also know that fertilizer alone is not enough for a perfect lawn. That is why we also have additional services like flea and tick control, mosquito control, grub control, and a fungicide/lawn disease program that is perfect for not only keeping your lawn healthy, but also keeping it safe for you and your family. We also offer New Jersey lawn aeration and seeding services – two valuable services for creating an amazing lawn. 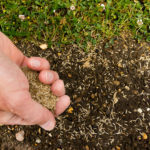 Aeration lets the soil breathe so that roots can grow deeper and seeding ensures that the grass is tightly packed and strong enough to fight away any invaders. You can water and mow all you like, but the true secret to an amazing lawn is what you’ll find with our Green Lawn Fertilizing program and the additional services that we offer New Jersey residents. If you’re ready to learn more about our lawn care services and find out what makes Green Lawn Fertilizing the number one choice for New Jersey lawns, contact us today, and ask about our pre-payment program for up to 10% off of your treatments and 2 FREE Insect Control Applications.